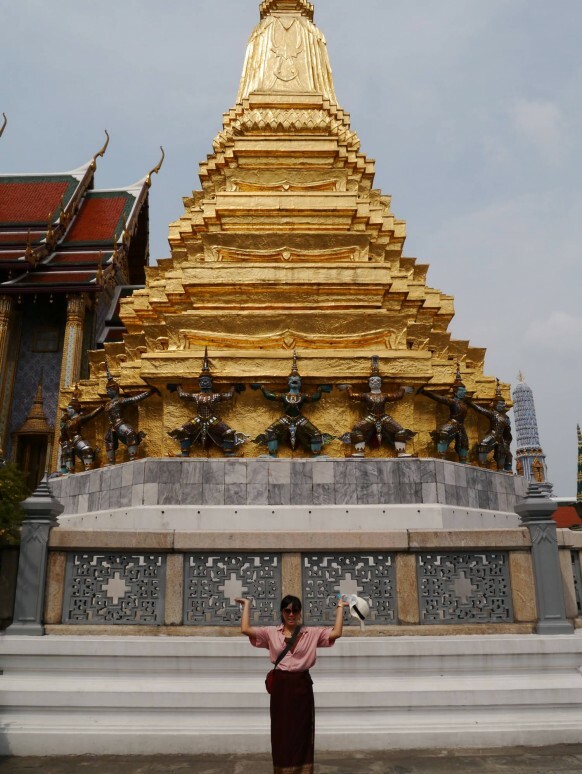 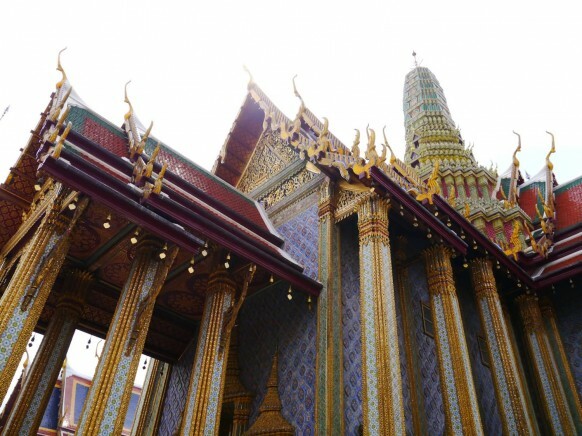 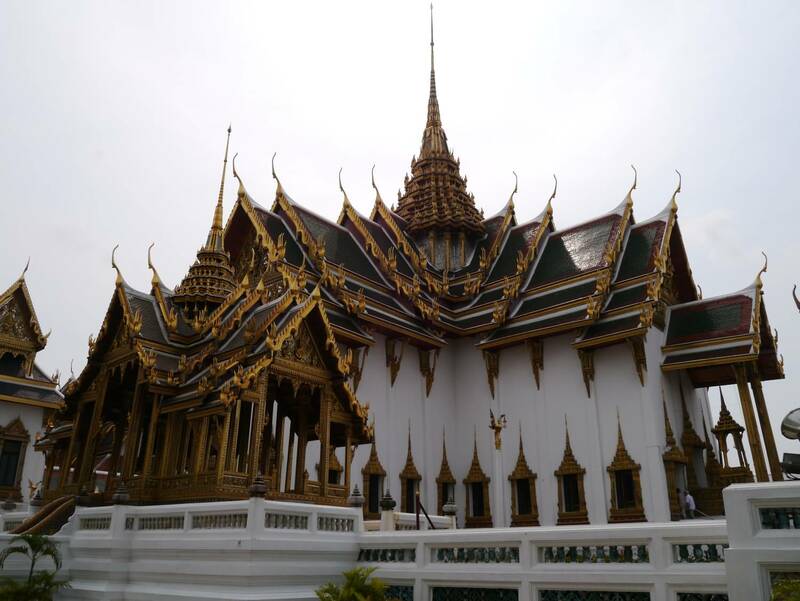 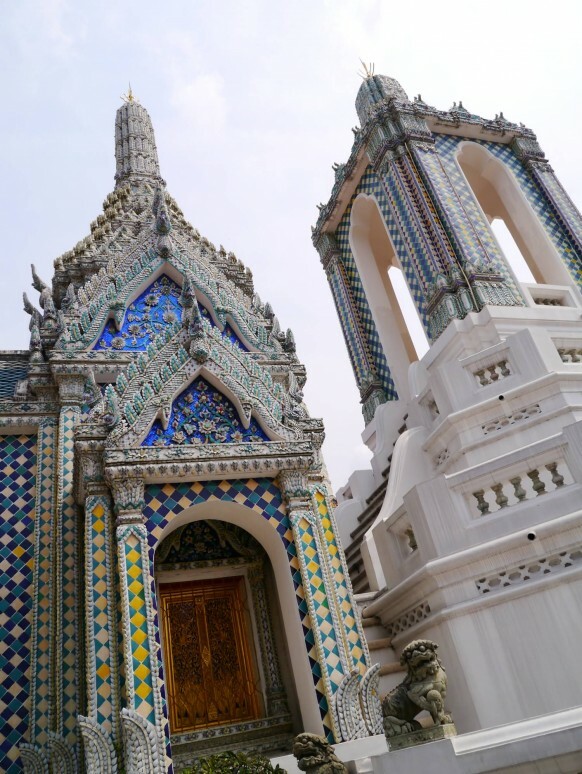 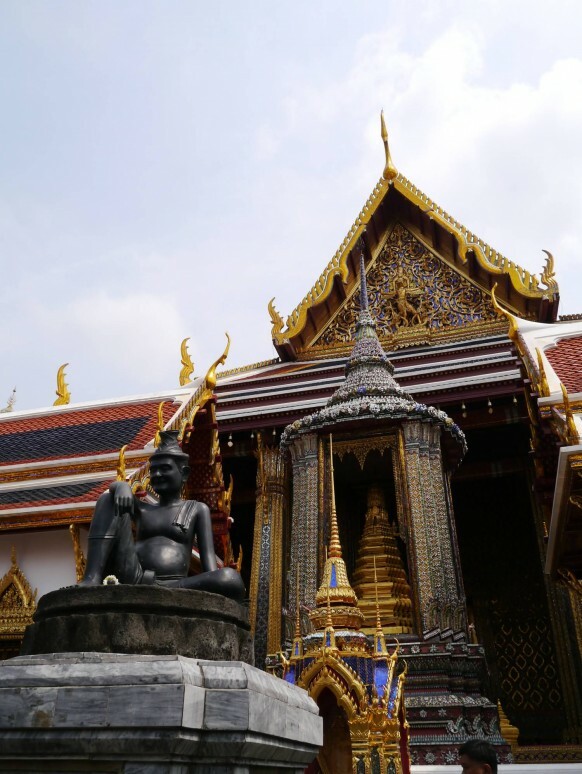 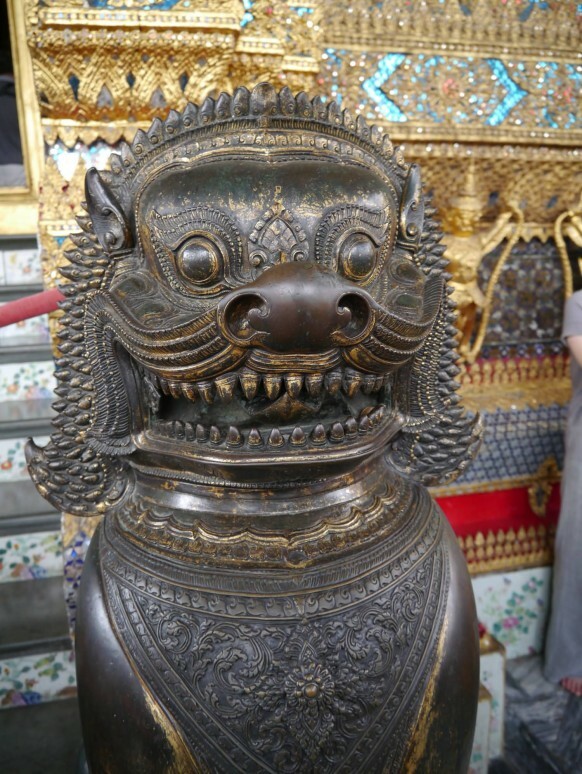 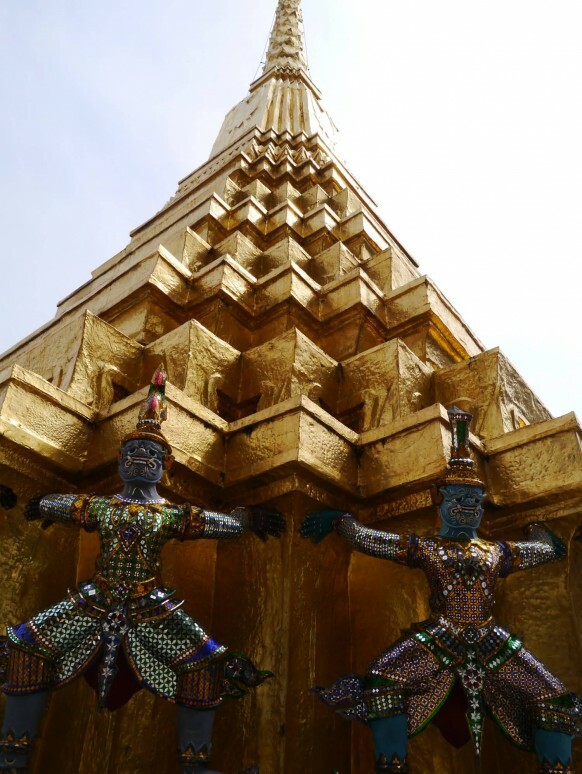 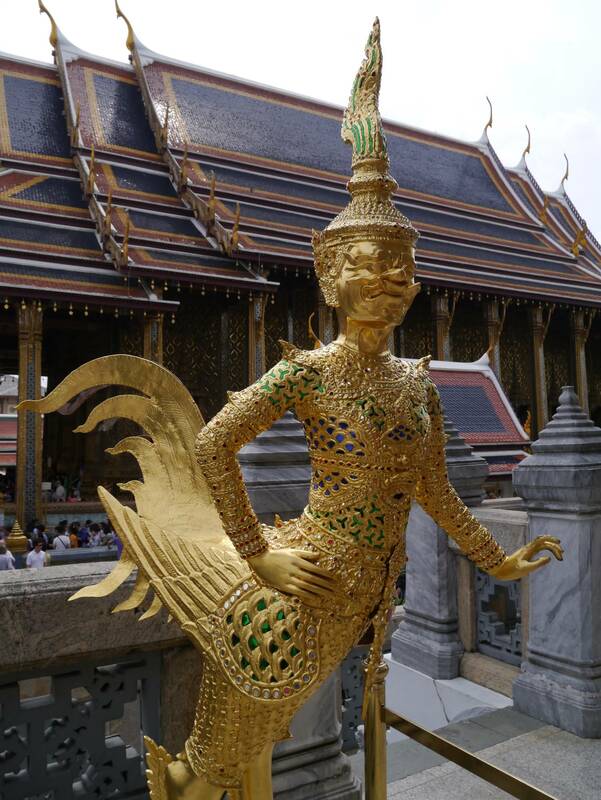 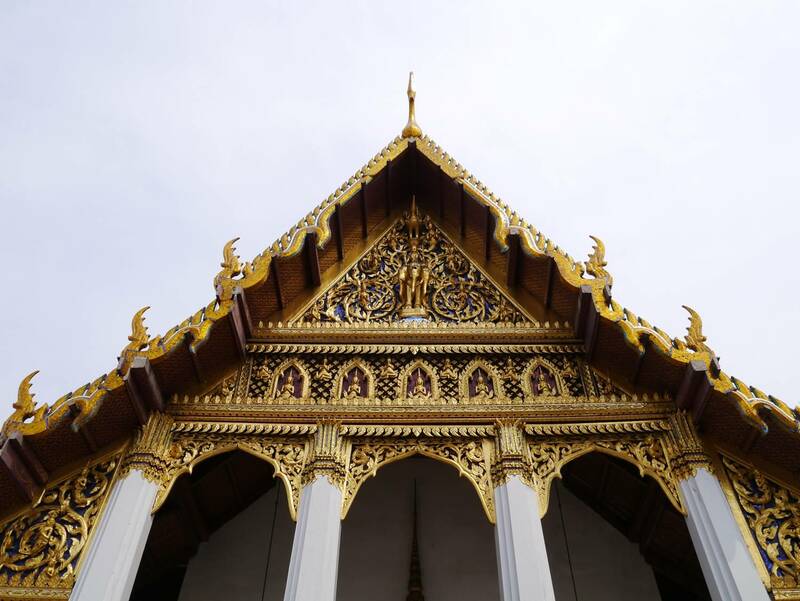 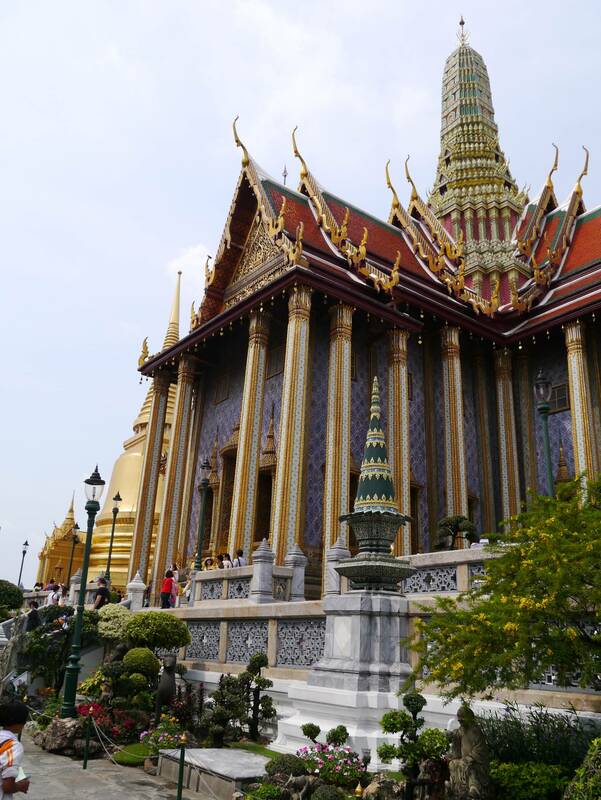 The Grand Palace complex was established in 1782 and it consist of not only the royal residence and thrown halls but also number of government offices, pavilions, halls set around open lawns, gardens and courtyards as well as the renowned Temple of the Emerald Buddha. Its asymmetry and eclectic styles are due to its organic development, with additions and rebuilding being made by successive reigning kings over 200 years of history. 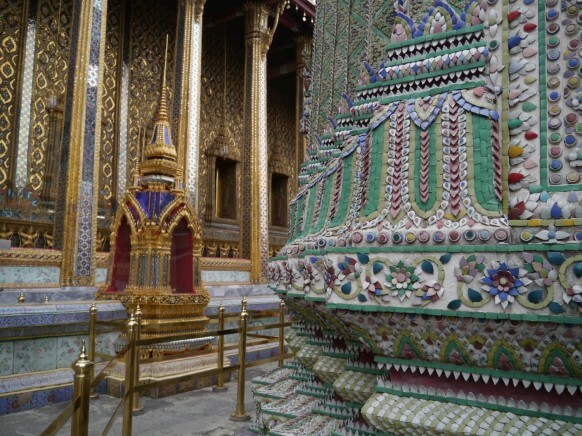 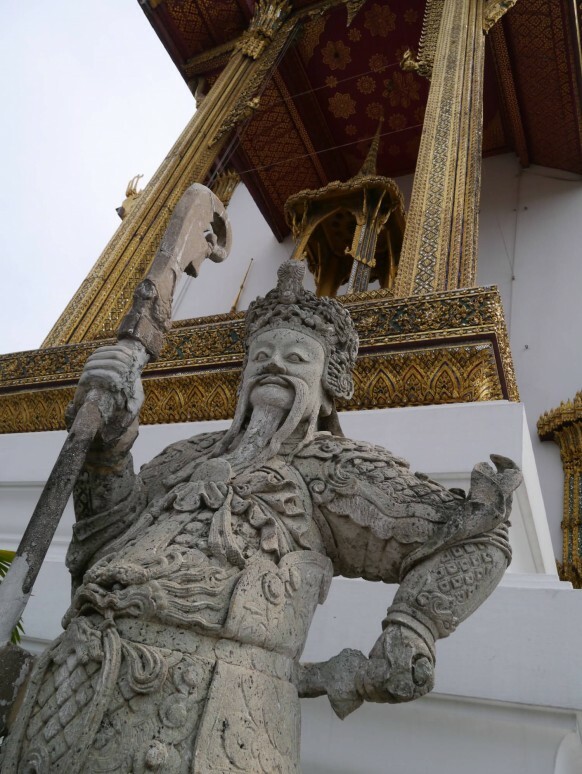 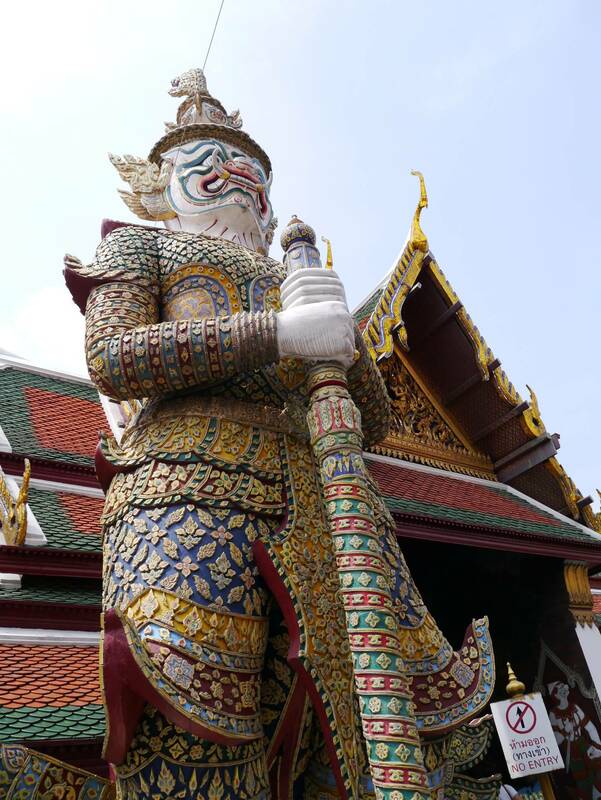 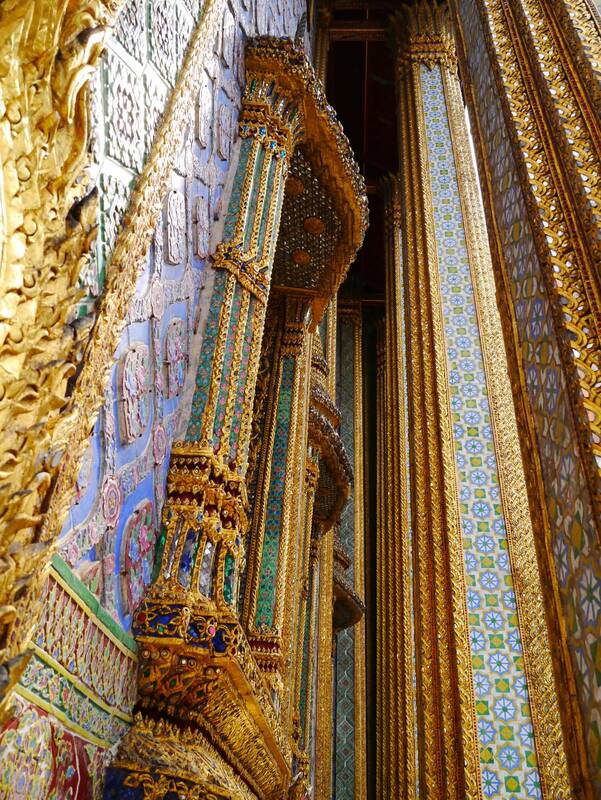 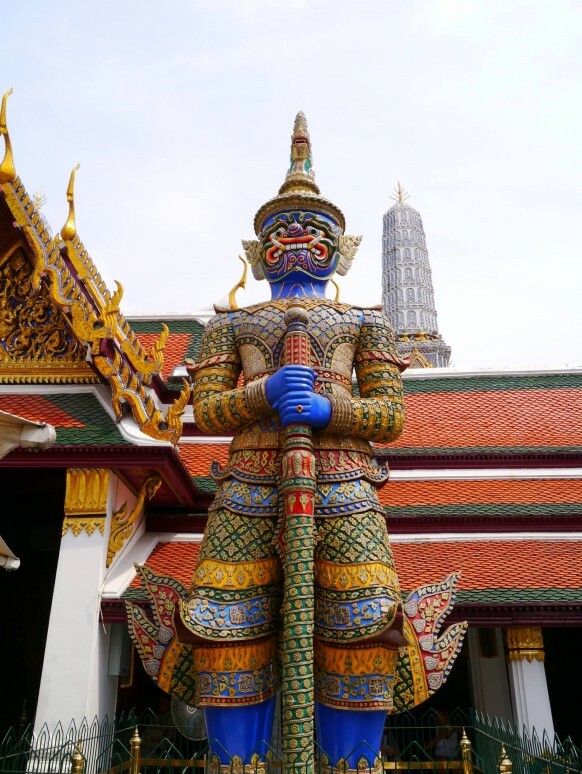 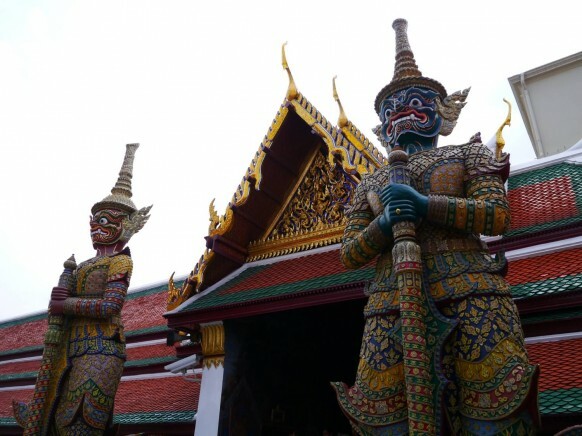 Giant Guardian of Wat Phra Kaew in Bangkok is stucco about height 6 metre. 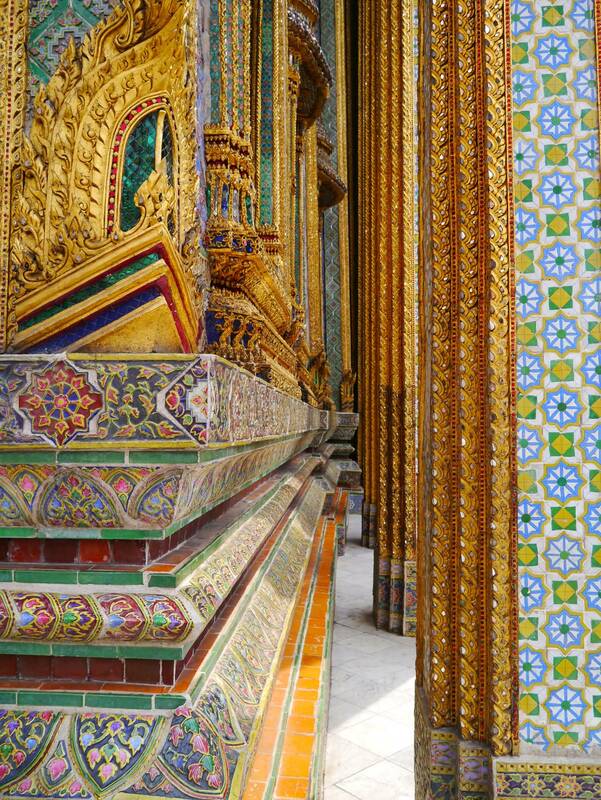 Which compose of many painted pottery, it’s so beautiful.The Guardian stand is over plinth with stay at south ascent of Phra-Tep-Bi-dorn Palace. Wat Phra Kaew has 12 giant Guardians.